Custom 145g Laminated RPET Tote Bag 15"x13"x6"
Get your brand in their hands with this custom full-color laminated RPET shopping bag! 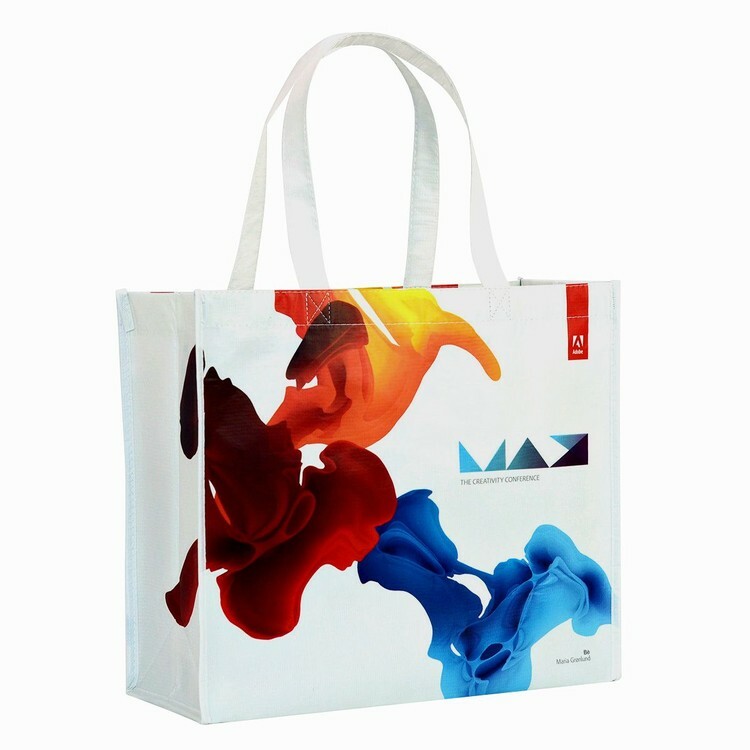 Made of 145g laminated RPET (recycled plastic bottles), 15"w x 13"h x 6"d with 20" self-material handles, This shopping bag is reusable, recyclable, recycled, and lead-free and makes a great giveaway at trade shows, conventions, training seminars! With a four-color process, eco-friendly print of your logo or advertising slogan, this promotional bag is sure to leave a lasting impression. Complete customization is available. Overseas production with 20-50 working days lead time and MOQ of 2500 units.